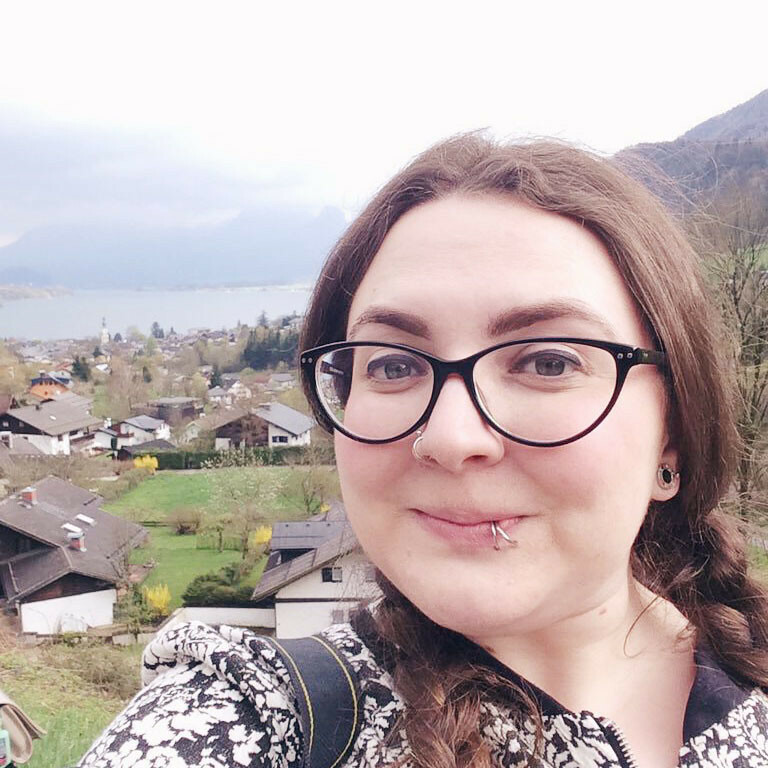 As part of my New Year's Blog Resolutions, I'm picking up my Friday Favourites series again. It's something I really enjoy and I love sharing the wonderful things I see around the internet. First things first, I've discovered a great little online shop called The Literary Gift Company. It has a whole host of adorable things, but I particularly love these. I love Haruki Murakami, and this quote is pretty much perfect, so I think this pin is just adorable! Oh, and can we take a second to admire these earrings? Of Mice and Men is my favourite book ever. Look, it has a little quote and everything! I am so in love with these, I couldn't even begin to tell you! Confession time: I've never had a macaroon. I have no idea what they taste like. However, they do look really cute. These trinket boxes are absolutely adorable! I have no idea how Go Compare wrangled Stephen Hawking for their new advert. Since previous adverts feature greats such as Sue Barker, Ray Mears and Louie Spence (International readers- Be assured that I know as much about those first two as you do! ), it's a wonder that they pulled this off. Nevertheless, it's hilarious. I like a Go Compare advert? What? Kate Gabrielle posted this amazing idea on her blog, Scathingly Brilliant. It's fantastic and I really must do this myself! This dude made a T-Rex entirely out of coat hangers! Amazing. How does his mind even work that way? Right now, I am completely in love with The New Normal. Rich and I watched every episode back to back over one weekend. If you haven't seen it yet, make sure you do! It's so funny and yet so beautiful at the same time. I'm not ashamed to admit that it makes me cry like a little baby. Also, if you ever wonder what our relationship is like, just look at Bryan and David's. We are exactly like them, only straight. I'm Bryan, in case you were wondering. This dude is, quite frankly, amazing. I really, really hope he gets a job soon! Plus, it turns out he was at the same uni as me at the same time, so he must be awesome! I looked at the employAdam site, and, awww, bless him. I really hope he finds a job soon too because he seems like an innovative bloke. 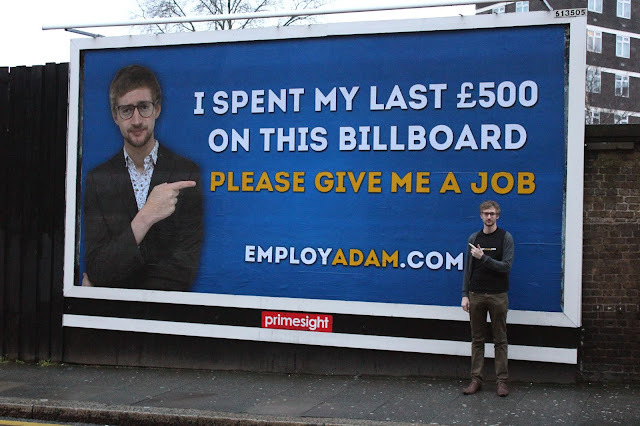 I hope Adam gets job! Go Adam! I don't know why I thought that moment deserved one but it does! I love the Of Mice and Men earrings! That's one of my favorite quotes and one thing I aspire to in life...to one day "live of the fatta the lan." 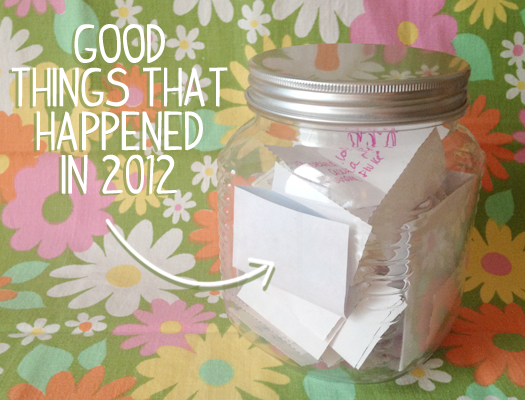 I loved the idea of writing one good thing a day for a year and putting it in a jar, it's such a lovely reminder of all the good things in our lives. I decided to do my own version, I'm taking a photo of one good thing that happened everyday for a year, I'm going to print them once a month and put them in a jar. Say hello to my car!